Our community is unique in that our downtown districts practically hug the shoreline, making them accessible to boaters passing by. Next time you’re cruising the Z-shaped Bay, get a boating slip, dock at Meyers Pier and discover downtown. 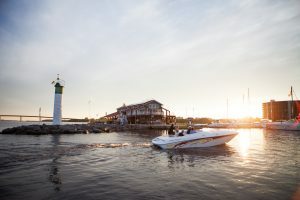 Meyers Pier – This harbour offers a number of amenities including seasonal and transient boating slips, showers, on-site laundry and wireless internet. Plus, have we mentioned it’s close to downtown? The Shorelines Shuttle – Hop on and off the shuttle—which has a convenient pick up spot at Meyers Pier, just saying—and check out downtown spots like the Glanmore National Historic Site, Corby Rose Garden, City Hall, the Farmers’ Market and West Zwick’s Park. 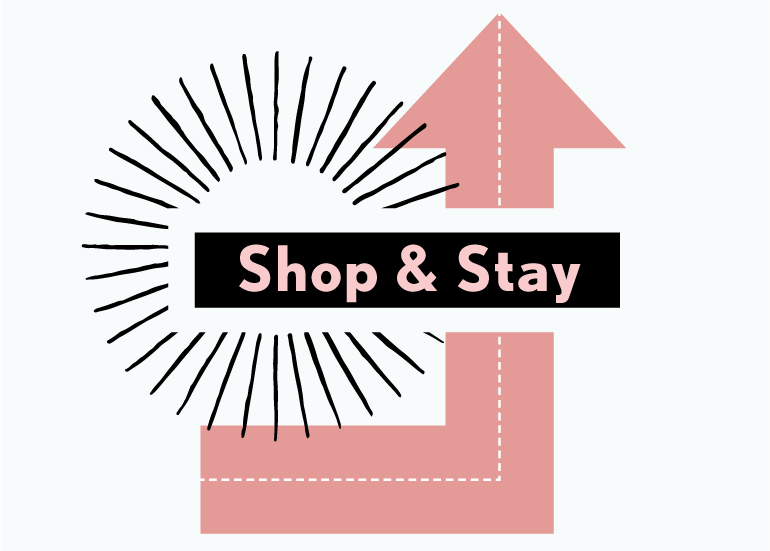 Shopping – Stroll the historic streets and shop like a local at Thomas Estevez Design, Boretski Gallery, Kate’s Kitchen, Scalliwag Toys, Pinnacle Music Studios, Lafferty’s Crossings and Stephen License Ltd. 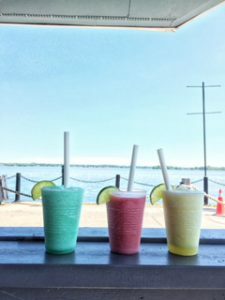 The BoQ team cooling off with an electric lemonade, strawberry daiquiri and lime margarita at the Pier Patio & BBQ. Breakout Belleville – Carve some time out of your day to throw axes or solve puzzles in a themed escape room with your travel companions. Pier Patio and BBQ – With live entertainment on Friday and Saturday nights, a waterfront patio plus daily specials, it’s hard to go wrong. We’re partial to Margarita Monday, Sangria Saturday and Caesar Sunday. Looking for an adventure on the water itself? We’ve got a few ideas up our sleeves.